The North Korean Workers’ Party is holding its first congress since 1980. Analysts believe the North Korean leader, Kim Jong-un, will cement his status within the party’s structure at this rare political gathering. The first full congress of the ruling party in 36 years is being closely watched for any shift in policies or changes in political leadership. Kim Jong-un is expected to reassert his nuclear ambitions, amid speculation he will soon conduct a fifth nuclear test. Foreign media have been invited but are not allowed inside the venue. Capital Pyongyang was spruced up ahead of the event and citizens laid flowers in central squares as it got under way. The streets are lined with National and Workers’ Party flags with banners that read “Great comrades Kim Il-sung and Kim Jong-il will always be with us” and “Defend the headquarters of the Korean revolution at the cost of the our lives”. 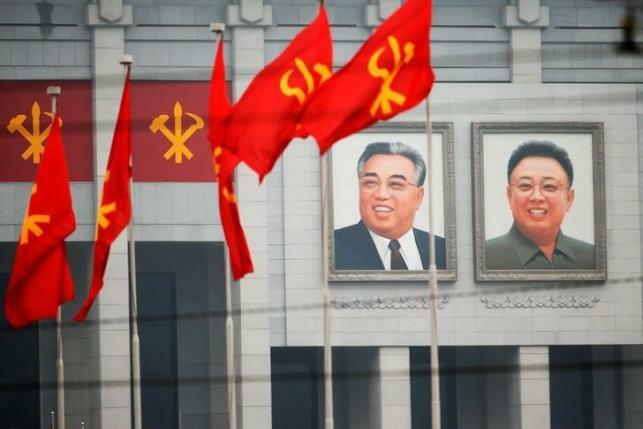 It is the seventh meeting of North Korea’s Worker’s Party and the first since 1980, and is being held inside the April 25 House of Culture, now covered in vast red and gold banners and massive images of the current leader’s father and grandfather. This year’s event is shrouded in secrecy. About 100 foreign journalists have been invited to the congress and reporters are being closely monitored. Kim Jong-un is inside the hall with guards lined up outside. Instead of being allowed into the congress, reporters have instead been taken to on a factory tour. The agenda and duration of the event is not known but experts say Kim Jong-un is likely to declare his so-called “byongjin” policy, which is the simultaneous push towards economic development and nuclear capability. It could also see a new generation of leaders put in place. The meeting will elect a new central committee, which appoints a Politburo – the central decision-making body of the Communist party – and many say loyalists to the current leader will be rewarded with high profile posts. Who he chooses will be watched carefully. In 2013 Kim Jong-un had his uncle executed for “acts of treachery” and there have followed many reports of purges of high profile figures in the establishment. Some experts have said that Kim Jong-un’s sister Kim Yo-jong, with whom he attended school in Switzerland, is tipped for promotion. Many observers will scrutinize announcements carefully to evaluate North Korea’s commitment to a planned economy and hints at reform, but the congress is also being seen as the public stage for Kim Jong-un to define his leadership for the years to come. No congress was held during the rule of Kim Jong-un’s father, Kim Jong-il. His death in 2011 brought Kim Jong-un to power when he was still in his twenties. The 1980 congress, held before Kim Jong-un was born, saw Kim Jong-il presented as successor to the North’s founding leader Kim Il-Sung. Despite his death in 1994, Kim Il-Sung, who has been named North Korea’s “eternal president”, still officially presides over the latest congress.